Attract, protect, inform, collect―good packaging is synonymous with multitasking. Creating these ultimate all-rounders calls for a deep understanding of the good, the market, the customer, the environment, the flow of trade―no easy task. Each year, the Pentawards spotlight the ingenious masterminds behind these complex containers and grant their coveted trophies to the cleverest and most innovative designs in the field. This latest edition of The Package Design Book rounds up the winning designs from the 2017–2018 competitions. 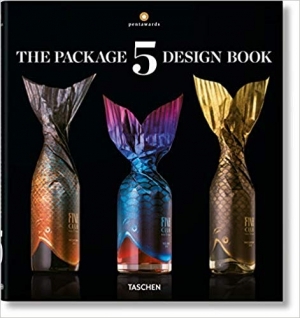 With introductory essays, product descriptions, and plenty of images, this book features more than 400 winners from over 40 countries across five main categories―beverages, food, body, luxury, and other markets―and no fewer than 55 sub-categories. The result is an authoritative survey of the best of the best, and a rich celebration of packaging for what it is: the premiere league of design.